Hopefully you have read Why We Worry About Plastic Bags and realize how wasteful and polluting plastic bags can be. To help eliminate or at least minimize the impact of plastic bags, I'd like to challenge you to refuse the use of plastic bags, to #SkipTheBag when out shopping or at restaurants. Get reusable bags you like. I used to have large square ones that I would stash in my car. That way even if I forgot to bring them into the store I could run out to the parking lot to grab them. Think of it as bonus exercise and saving the planet. Now, I use ones that fold up and fit in my purse. I don’t carry a huge purse, but the bags are pretty small and it means I am never without a bag. You can read more about my plastic bag journey here. Update: Do you live in an area with a ban bag or have you been carrying your own bag for years? 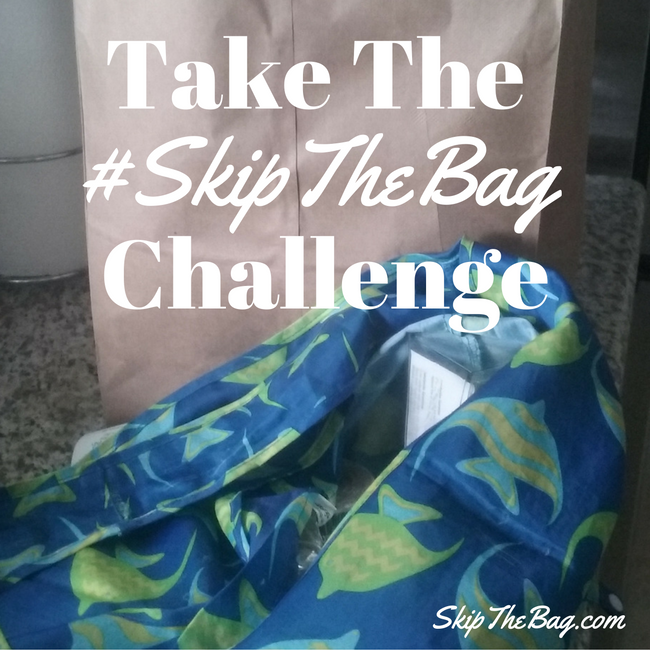 You can move on to level two or three of the #skipthebag challenge? We have several reusable canvas, bamboo and other shopping bags that we use. In our area the store charges you 10 cents if you need a bag and many will give you a credit if you bring a bag. It is a nice bonus but the main idea is to save our world..even if only one bag at a time. With over a trillion limited time sacks devoured each year on the planet, something is being advanced some place! Marked as the least expensive type of plastic bag recycling notice accessible, advancing what is important to you on a pack is really considered very American.